Tulsa's pool builder since 1981-In-ground custom gunite pools! Our 38th Year of Quality Pool Construction! Welcome. Dream it, Build it, Live it! That is what we have been all about since day one. If you are visiting our site we hope you are here looking for a quality pool construction firm. First and foremost we hope that you will find useful information here that will help you in your quest to find a reputable swimming pool construction company. 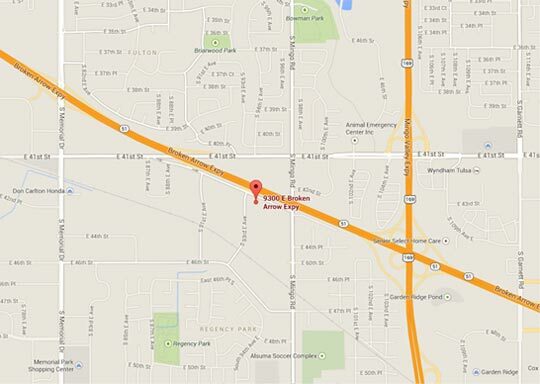 Our website is also helpful to those that don't live in our area! At Atlantis Pools we strive to keep the information on our website relevant, accurate and up to date. This will help you make an informed decision on who you choose for your pool project. Owning a swimming pool is like having your own private sanctuary in your backyard. It's a place where memories are made and families gather to grow closer. It may well be one of the best investment you can make for your families enjoyment. Building a swimming pool should be an exciting time for you and your family. The pool builder you choose should work toward that goal by taking all the unnecessary stress out of the process. You can help yourself by learning all you can about pools before calling to interview potential pool builders. We recommend you read our blog, there you will learn not only about construction of pools but also business practices of different types of pool companies. At Atlantis Pools & Spas Inc. our goal is to bring you an extraordinary design, quality craftsmanship, a stress free experience and the most value for your money. Our reputation for building the highest quality gunite pools, for the past 37 years, in North Eastern Oklahoma is unrivaled. Our designers, craftsmen, and service department are unmatched. We place special emphasis on the construction process where the quality of materials is never compromised. We combine quality materials, the best pool equipment, and highly skilled professionals (Our Team) to construct the finest pool for you! From the simplest of backyard pools to spectacular infinity edge pools we have done it all. Please view our Portfolio there you will see examples of unique gunite pools unlike any others in Tulsa. Click on the links to learn more about Our Team, and our founder John Oliver, Oklahoma's first Certified Building Professional, CBP (2002). 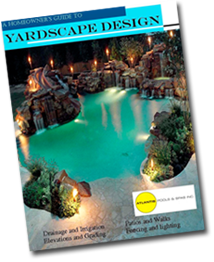 Thank you for visiting our website and please Contact Us when you are ready to create your own private backyard oasis! Hopefully the information contained within our site will help you make an informed decision. To learn more about swimming pools check out our blog. It is loaded with helpful information. Tulsa, January 16, 2018 – Atlantis Pools & Spas Inc. of Tulsa, Ok. has won “Best Of Customer Service” onHouzz®, the leading platform for home remodeling and design. The 37-year old swimming pool design/build firm was chosen by the more than 40 million monthly unique users that comprise the Houzz community from among more than one million active home building, remodeling and design industry professionals. “We are proud to receive this honor from Houzz. We strive every day to be the absolute best pool construction company in Northeastern Oklahoma!” - John Oliver. 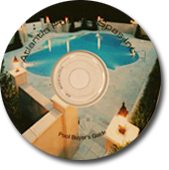 Atlantis Pools and Spas Inc. was founded in 1981 by owner John Oliver. Since then Atlantis has grown into a nationally recognized, award winning swimming pool construction company. There are over 1,100 pools in Eastern Oklahoma built by Atlantis, and John was personally involved with the design and construction of each and every one! Unlike most pool companies in Tulsa, Atlantis is truly a "pool builder" and not just a "pool contractor". Actual Atlantis employees construct over 90 percent of our projects rather than using subcontractors. By using in-house employees we have total control over the workmanship and scheduling and you see the same faces in your yard every day! Our main focus as a company is on the design, construction and renovation of in-ground gunite pools. We design custom pools tailored to meet our clients' needs. We are known for designing and building complex projects. But no project is too small for Atlantis.